Another ekoparty took place in Buenos Aires, Argentina, and for a whole week, Latin America had the chance to meet and get in touch with the best researchers in this side of the world. A record-breaking number of 150 entries were received and analysed by the excellent academic committee formed by Cesar Cerrudo, Nico Waisman, Sebastian Muñiz, Gerardo Richarte, Juliano Rizzo. There were more than 1500 people who enjoyed of 20 talks without any interruption, except when the Mariachis played. Following last year’s ideas, when ekoparty became the last bastion of resistance to rebellion against machines, this resistance had to move out of the earth to fight the battle of knowledge sharing in another world. We would like to thank all the researchers, participants, sponsors that contribute to ekoparty’s growth! See you back next year to find out how this story goes on! For those who know me, I’m no stranger to the world of conferences and have attended both big and small cons around the world. I love experiencing the different communities and learning how different cultures impact the world of security as a whole. I recently had the pleasure of attending my second Ekoparty in Buenos Aires with IOActive’s Latin American team and it was again one of my all time favorites. To put it simply, I am blown away by both the conference and the community. Francisco, Federico and crew do an amazing job from start to finish. The content is fresh and innovative. They offer all the great side acts that con attendees have grown to love – CTF, lock picking stations, giant robots with lasers, a computer museum as well as the beloved old school Mario Brothers game. Even the dreaded vendor area is vibrant and full of great conversations – as well as a bit of booze thanks to both our bar service and Immunity’s very tasty beer! But the real heart of Ekoparty is the community. The respect and openness that everyone brings to the experience is refreshing and gives the conference a very “family-like” feel – even with 1500 people. I met so many interesting people and spent each day engaged in inspiring conversations about the industry, the culture and of course, how to be a vegetarian in Argentina (not easy AT ALL!). A special thanks to Federico and Francisco for the invitation and generous VIP treatment throughout the week. It was a great opportunity for us to bring IOActive’s Latin American team together, which now includes 12 researchers from Argentina, Brazil, Colombia and Mexico; as well as meet potentially new “piratas” in the making. I am amazed every day at what that team is able to accomplish and am already looking forward to Ekoparty 2013 with an even bigger team of IOActive “piratas” joining us. ¡Gracias a los organizadores, speakers y asistentes de la Ekoparty 2012. La semana fue fantástica y espero verlos el año que viene! 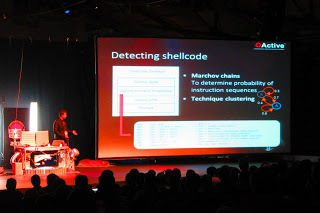 This was my 5th time presenting in Ekoparty (I just missed one Ekoparty when my son was born 🙂), Ekoparty is one of my favorites conferences, I feel like a part of it, it’s on my own country which makes it special for me. 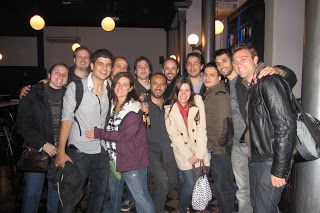 It’s nice to get together with all the great Argentinean hackers, which by the way are very good and many, and with a lot of friends and colleagues from around the world. During all these years I have seen the growth in quality and quantity, I can say that this conference is currently at the same level that the big and most known ones and every year gets better. This year I had the honor to give the aperture keynote “Cyberwar para todos” where I presented my thoughts and views on the global Cyberwar scenario and encourage people to research the topic and get their own thoughts and conclusions. The talks were great and there was lot of research presented for the first time at Ekoparty, just take a look at recent news and you will see that this is not just “another“ conference. Last time I remember a security/hacking conference got so many related news was Black Hat/Defcon. We could say Ekoparty is becoming one of the most important world security/hacking conferences. OK I’ll try my best to follow Cesar, this years keynote speaker, Francisco, one of the founders of EkoParty and Jennifer our CEO in giving an impression of the EkoParty conference. If you haven’t been to EkoParty, stop what you’re doing right now, check out the web site (http://ekoparty.org) and set yourself a reminder to buy a plane ticket and a entry ticket for next year – because this is a con worth attending. If nothing else you’ll learn or confirm what you had thought for years: that the Latin American hacker community is awesome and you should be paying attention to their research if you haven’t been already. Three days long, EkoParty is compromised of a CTF, Lock picking area, training, and 20 interesting talks on research and security findings. The venue is something you’d expect from CCC or PH-Neutral: An Industrial, bare-bones building loaded up with ping pong tables and massive computing power with no shortness of smoke machines, lights and crazy gadgets on stage…oh and as you read above in Francisco’s summary, a Mariachi band (hey, it is Argentina!). The building reminded me of the the elaborate Farady cage Gene Hackman had set up in the movie Enemy of the State that was used to hide from the CIA. Except Eko Party was filled with around 1500 attendees and organizers. Our booth is where I spent most of my time when not seeing talks, so that I could hang out with IOActive’s Latin American team members originating from Mexico, Brazil, Colombia and Argentina. I won’t go into details on the above talks, as more information is now available online about them. I was lucky enough to be accepted as as speaker this year and talk on research focused around defeating network and file-system detection. My past development experience is on detection of threats, but as I stated in my presentation: You must think offensively when creating defensive technology and make no mistake of overselling it’s limitations – a problem most salespeople at security companies have these days. I spent about 75% of my time reviewing various content detection technologies from the last 20 years and explaining each one of their limitations. I then talked about the use of machine learning and natural language processing for both exploit and malware detection as well as attribution. Machine learning like any technology used in defense, has it’s limitations and I tried to explain my point of view and importance of not only having a layered defense, but having a well thought out layered defense that makes sense for your organization. In my presentation I looked at the reality in offensive techniques against detection technologies: Attackers are going to stay just enough ahead of the defense curve to avoid detection. For example with Gauss and Zeus we’ve seen dlls being encrypted with a key only found on the targeted machine and downloaded binaries encrypted with information from the infected host – FYI – encrypting binaries with target information basically kills the possibility of any behavior sandbox from being able to run the binary outside of it’s intended environment. So maybe attackers of the future will only make incremental improvements to thwart detection OR maybe we’ll start seeing anti-clustering and anti-classifications added to the attacker’s arsenal as machine learning is added as another layer of defense – The future is of course unknown – but I do have my suspicions. In my concluding slides I stressed that there is much improvement that can be made on the side of detecting the threat before it happens as well as making sure that a defensive strategy should be layered in a manor that focuses on making the attacker spend, time, resources and different skill levels at each layer, hopefully comprising enough of his or herself in the process and giving the targeted organization enough time to mitigate the threat if not halt the attack all together. This was by far the largest crowd I’ve ever spoken in front of and goes down as one of the best conferences I’ve attended. Thanks again EkoParty committee for inviting me to present, I’ll try my best to be back next year!! 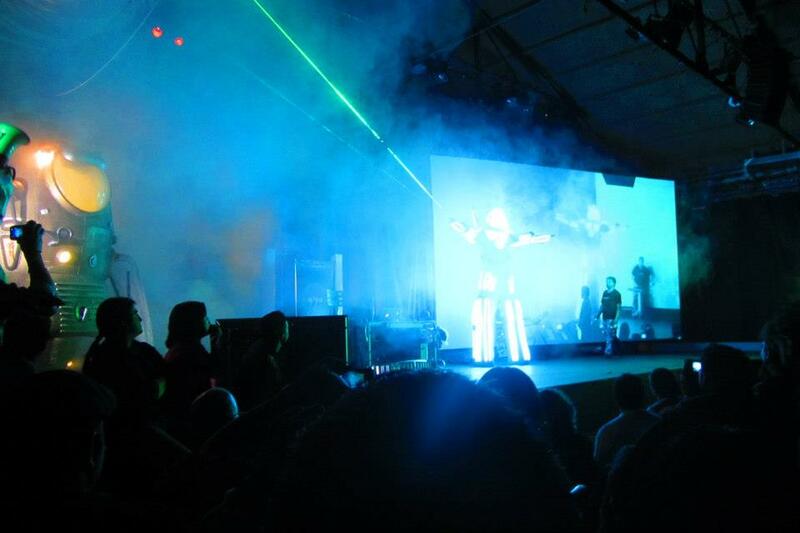 We had the opportunity at the Ekoparty to attend presentations which a show high level of innovation and creativity. I can’t wait to see what is coming in the next ekoparty! If my memory is accurate, this was my fourth EkoParty. From the first time to now, the numbers related to the conference have grown beyond my imagination. On the other hand, EkoParty remains the same on another aspect: it has the energetic blood of Latin American hackers. Too many of them, actually. Buenos Aires has a magical history of popping up talents like nowhere else. And the impressive numbers and quality of EkoParty, today, definitely have to do with that magic. There were many great talks, on a wide range of topics. I will summarize the ones I mostly appreciated, being forced to leave aside the ones I didn’t have the chance to catch. Cyberwar para todos, I’ve seen people complaining about this topic, either because it’s political (rather than technical), or because “it’s been too stressed” already. In my opinion, one can’t ignore how the big empires think of information security. Specifically, here is what I liked about this talk: the topic might have been stressed in North America, but the notion of cyberwar, per Gen. Keith Alexander’s vision, is still unknown to most in South America. A few years ago, the Brazilian CDCiber (Cyber Defense Centre) was created and, despite effort coming directly from the President, the local authorities are still very naïve, to say least, if compared to their rich cousins. Cesar raises questions about that. Satellite baseband mods: Taking control of the InmarSat GMR-2 phone terminal, this was probably my favorite talk. They showed how a user can easily modify satellite phones at will, poking data that comes in and out of the device. Furthermore, the presenters showed how communication technologies very similar to GSM, when applied over a different medium, can open whole new vectors of potential attacks. Finally, Sebastian “Topo” Muniz is one of the most hilarious speakers in the infosec industry. Trace Surfing, this is one of those rare talks that resolve hard problems with very simple solutions. Agustín showed how one can retrieve high-level information about the Windows heap, during the course of an execution trace, simply by tracking ABI specifics at call-sites of choice. The simplicity of his solution also makes it really fast. Great work! OPSEC: Because Jail is for wuftpd, unfortunately, they had Grugq speaking at 9am. I can’t digest humour so early and will have to ask him for a secondhand presentation. Literacy for Integrated Circuit Reverse Engineering, very sadly, I didn’t catch Alex’s presentation. But if you are into reverse engineering modern devices, I would recommend it with both my eyes closed, nonetheless. What begun publicly as an e-zine in the early century now arises as the most important latin american security conference “ekoparty”. All the latin american team landed Buenos Aires to spend an amazing week. My “ekoparty week” started on monday where I got invited to attend a “Malware Analysis Training” by ESET after solving a challenge of “binary unpacking” posted on their blog. First, two intensive days were held with paid trainings which covered the following topics: cracking, exploiting, sap security, penetration testing, web security, digital forensics and threats defense. Every classroom was almost fully booked. 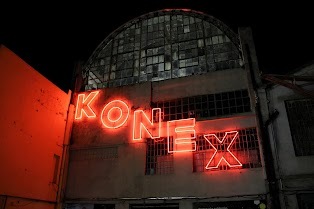 The conference started on Wednesday in “Konex Cultural Center”, one of the most famous cultural centers especially for music and events. The building used to be an oil factory some decades ago. On Wednesday, our CTO Cesar Cerrudo, was the main keynote of the day. Many workshops were open for any conference assistant for the rest of the day. At night we enjoyed a classic “Mexican Grill” at IOActive’s party where VIP guests were invited. The meal was brought you by Alejandro Hernández and Diego Madero, our Mexican Security Consultants. On Thursday and Friday were the most awaited days since the presentations were going to start. “memory corruption” if they are preprocessed by the satellite before retransmision. No satellites were harmed. *VGA Persistent Rootkit (Nicolás Economou and Diego Juarez): Showed a new combo of techniques for modifing reliably the firmware of a VGA card to execute code or add new malicious basic blocks. *The Crime (Juliano Rizzo and Thai Duong): The most awaited talk revealed a new chosen plaintext attack where compression allowed to recognize which secuences of bytes were already on the TLS data. The attack works like BEAST, with two requirements: capture encrypted victim’s traffic and control his browser by using a web vulnerability (or MITM on an HTTP service). When forcing the browser to issuing some specific words on the HTTP resource location, they figured that if that portion of the random string is already on the cookie the TLS data gets more compressed. This allows to bruteforce to identify the piggybacked cookie that is automatically added to the request. *The Future of Automated Malware Generation (Stephan Chenette): Our Director of R&D showed how different AV’s performs approaches for detecting malware mostly failing. It is difficult to defend ourselves in something we dont know but we must remember that attackers are also having fun with Machine Learning too ! reported to Oracle 2 years ago but no patch was provided by them till then. After a 10 hours delayed flight, finally I landed to Buenos Aires. As soon as I could, I went straight to the VIP party to meet with the IOActive team and to prepare some mexican tacos and quesadillas (made by Diego Bauche @dexosexo). The next day, Thursday, I had the chance to be at the Stephan Chanette’s talk (@StephanChenette), which was a really interesting presentation about automated malware generation and future expectations. His presentation had a good structure because he started with the current state of malware generation/defense and later he explained the future of malware generation/defense passing through the actual malware trends. The same day, I enjoyed the Esteban Fayo’s talk (@estemf) because he showed a live demo on how to crack an Oracle password taking advantage of some flaws in the Oracle authentication protocol. The venue, KONEX, the same as the last year, was really cool, there were vendors booths, old computers, video games (where I spent like two hours playing Super Mario Bros) as well as a cocktail bar, obviously the IOActive booth ;). In conclusion, I really had a great time with my fellow workers, drinking red wine and argentine asado, besides amazing conferences. Definitely, I hope to be there the next year.